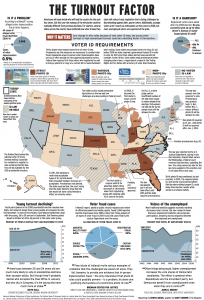 Newspaper headlines leading up to the 2012 presidential election talked about the numerous voter ID laws being proposed and challenged across the states. Complicated stories such as these laws can often be excellent opportunities for guiding readers. 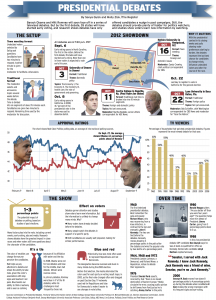 With this focus page graphic, I started by researching voter ID laws before we drew up the page. Artist Scott Brown and I then collaborated on the page’s content and how we would present the information visually. We decided that the page must discuss why the laws were important to discuss, why the laws were enacted, why challenges were made and actual cases of voter fraud over time. We also worked in other voting data trends particularly relevant for the 2012 election, including the youth vote and metrics on how the unemployed vote. In an age of high voter apathy, helping readers to understand ballot propositions in an important task. Here, I tackled the death penalty and three strikes proposals. For three strikes, we worked to visually explain the difference between the proposal and the current program. For death penalty, we worked to illustrate the process while also documenting the status of people who have been sentenced to death. 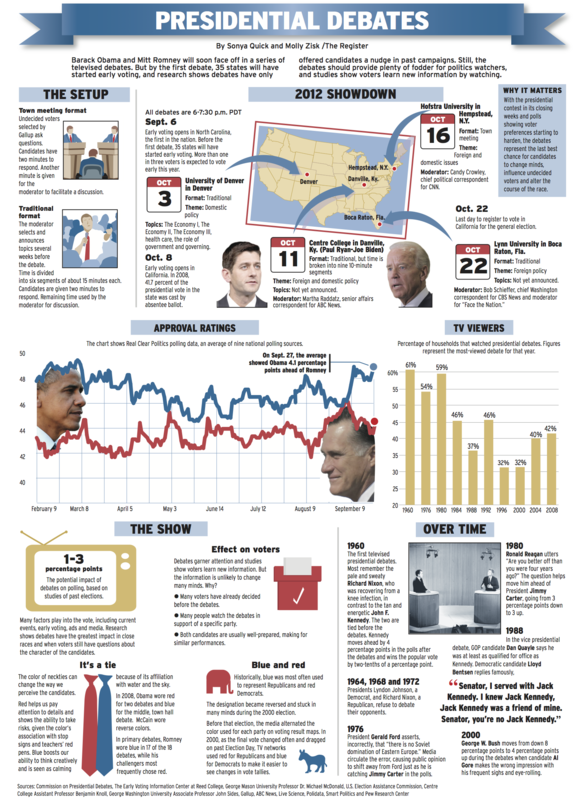 Ahead of the presidential debates, Molly and I worked on this graphic to illustrate interesting facts and things one needs to know for watching the events. Hi and thanks for visiting! I'm a full-time mom and part-time freelance journalist. I love drinking craft beer, tap dancing, designing party stuff, cooking veggie food and listening to music. Check out my resume HERE.